Team BRIDGES provides fun team building experiences in the air and on the ground, on a wall and in the classroom, indoors and out, all designed to transform everyone—even the adults—who come through our doors. Looking for team building that will take your group to the top? Look no further! Located at the BRIDGES Center in Downtown Memphis, Team BRIDGES is the place to bring your staff or other group for everything from hands-on activities for developing problem solving skills to building teamwork and trust on the Memphis Grizzlies Rock Climbing Wall. 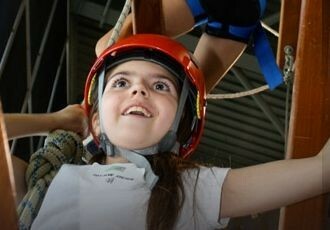 Our internationally trained staff, low-ropes course and state-of-the-art indoor and outdoor high adventure challenge courses are unique to Memphis, making Team BRIDGES convenient, affordable and effective. Just complete and submit a needs assessment to get a quote. 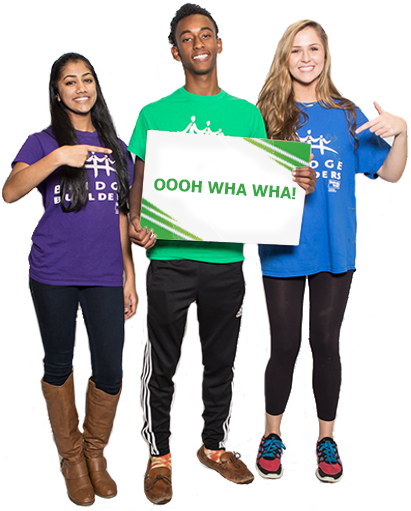 Team BRIDGES is the premier team building group in the Mid-South, providing support for Bridge Builders programs and a variety of external organizations such as non-profits, corporations, faith-based groups, schools, colleges and universities. Tell us what you need, and we’ll design an experience just for your team! 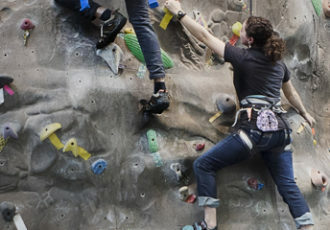 The public now has access to the indoor and outdoor climbing walls during CLIMBLOCK on various nights of the week when they are not in use for other events. Participants can use the auto-belay system, allowing users to climb on their own or with a partner. For climbing wall hours, check out our Facebook page or click here. If you have more than six participants in your climbing group or would like to schedule a private session, BRIDGES has multiple options to suit your needs. Visit our Team BRIDGES FAQ section to learn more.